A quick guide to help you prepare for the New England winter storm season. The snow is ready to fly as we enter New England’s infamous storm season. No matter how many times you have been through it, it is always important for homeowners to be as prepared as possible for the inclement, and sometimes dangerous weather. 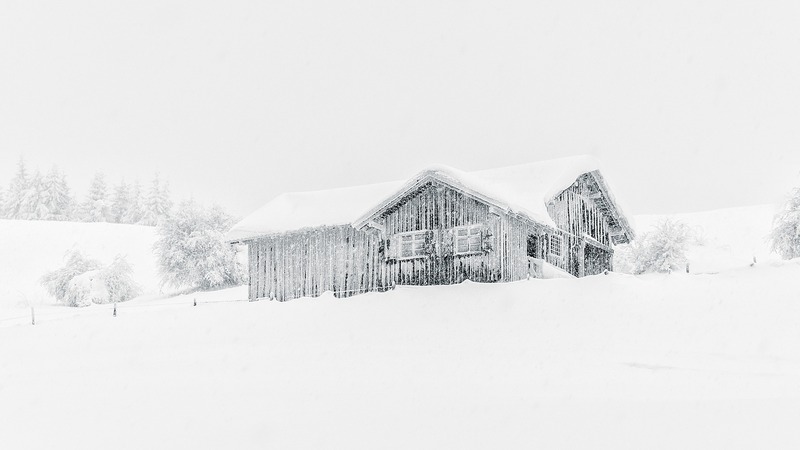 In our efforts to be here for you through the real estate process and beyond, we have compiled a short list of tips that may help you better prepare for the harsh winter weather. This may not be the first thing that comes to mind when preparing for an upcoming snowstorm, but being ready for when the snow starts to melt can be just as important as being prepared for when the snow starts to fall. Making sure your gutters are clear will help ensure water has a clear path to flow off of your roof. Failing to do so can lead to ice dams and water seeping into your house. Once moisture gets into your home, mold can start form, which can take thousands of dollars to remediate, in addition to being potentially hazardous to your health. Before we get too far into preparing your home for the snowy weather, let’s make sure you and your family are prepared as well. Have extra bottles of water and canned food readily accessible. When a large amount of snow is in the forecast, you may find yourself stuck in your home for days, sometimes without power. It is imperative for you and your family to have a few days worth of food that does not need electricity to prepare, as well as clean water standing by. If you have pets make sure they have enough food and clean water as well. You don’t want to be digging out the tools that are meant to help you dig out of the snow during the storm. Have all your shovels, snowblowers, salt, and any other tools ready to go ahead of time. This will make the snow clean up process safer and more efficient. In addition, make sure to have your phones charged, as well as extra batteries for flashlights easily accessible. Even if you have never had an issue with water in your basement, it’s not a bad idea to be prepared for potential flooding. When the ground is frozen and the snow starts to pile up, water may not runoff like it normally would, which can lead to flooding in areas where that would not normally occur. Anything of value in your basement should be kept up off the floor. Things like pallets and milk crates are an inexpensive way to put some distance between your belongings and the floor. If you have a sump pump, be sure to test it prior to the storm to ensure that it works. This will help prevent future headaches and property damage. Always be sure to identify any potentially hazardous trees or branches, which heavy snow and high winds can cause to bring down. This not only potentially dangerous to your home but to your family as well. If you can’t remove these trees or branches, be sure to know where they are and where they are likely to fall. Keep your family and pets inside during the storm and away from areas of the home where these hazards may fall. After the snow has melted consider having any potentially dangerous trees removed and branches trimmed.